The Jack Spade Accordion Waxed Canvas Briefcase puts a modern spin on the traditional men's briefcase. 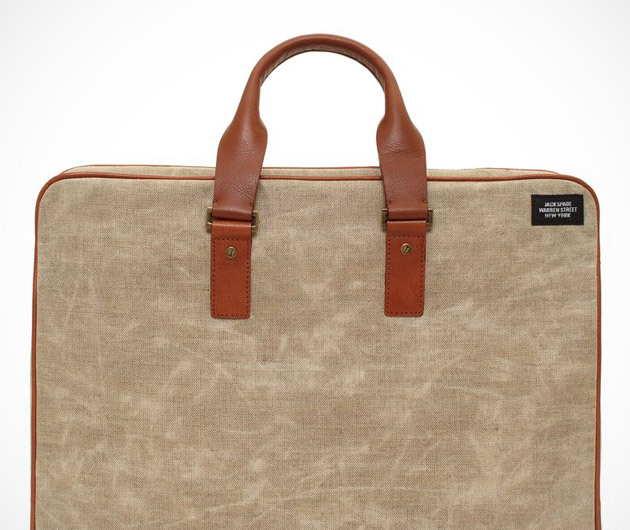 Constructed with a waxed linen exterior and a canvas lining, this professional-looking accessory has plenty of storage room within its various pockets and convenient computer sleeve. Brass hardware and sturdy zippers complete the package.